Joget is an open source no-code/low-code application platform for faster, simpler digital transformation. 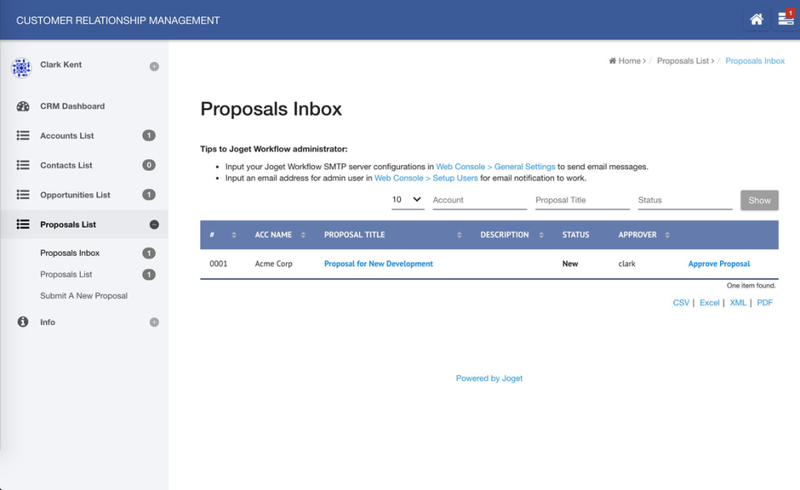 Joget combines the best of business process automation, workflow management and rapid application development in a simple, flexible and open platform. Visual and web-based, it empowers non-coders to instantly build and maintain apps anytime, anywhere. Joget makes it easy to empower business users, non-coders or coders to create enterprise applications. 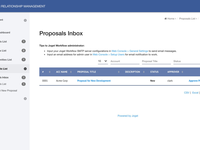 Joget Workflow Reviews Recently Reviewed! Overall: We have been using Joget Workflow since its very first version until now. From an average tool, it has now improvised into a near prefect rapid application development platform for a solution company like us. With Joget, we manage to churn out a prototype or demo for a system within days, sometimes in hours. Being a low-code platform, application development can be done with minimal coding, at times zero coding. It's plugin architecture provides us the flexibility to extends its features and integrate to various systems with ease. The support we get from Joget was superb and most importantly they listen, understand and help us in solving our problem. Thank you. 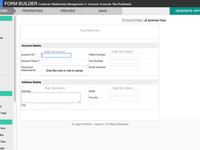 Overall: We use Joget developed Helium order management system to help user submit and maintain orders. There are 7 countries included for now and will be about 13 countries. Different countries have different needs, however, with help of Joget, these functions are relatively simple to implement and achieved the main business process. There is a few aspect to be improved, for example, chart. I also noticed the new version V6 have some improvements in this feature. We are looking forward for it. Comments: It's really easy to use Joget to implement the workflow applications. 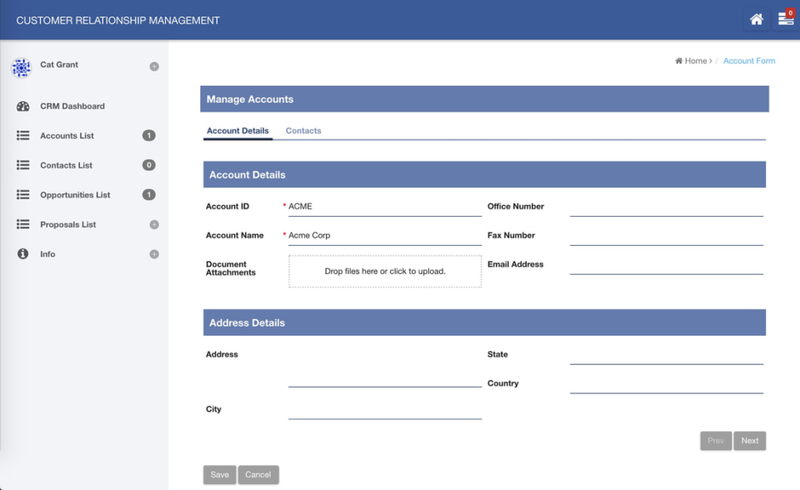 The UI is simple and user-friendly enough for non-technical user. Also, the license price is not high and it's value for money to have Joget Workflow. But, the development guide/sample posted in Joget Community is not enough. It's better to have more details/samples for complicated features. Comments: Joget is used as a "Swiss Army Knife" which means that all Non-ERP apps we develop are based on it. We have not get disappointed and the our "Solutions range" is getting bigger and bigger allowing us to provide quick professional solutions to the Business. Pros: It is easy to use and has many built-in tools. The support is available and provides fast responses. Cons: Beside the human inducated workflows, it would be nice to have event triggered ones as well. We really appreciate your feedback. Currently, we do support triggering of events using the deadlines or API calls. Not sure if that is what you are looking for, but it will be great if you can check out our community Q&A site for more info or send an email to info+getapp[AT]joget.org to share your feature request in detail. Thanks and cheers. It was easy to use especially for smaller less involved processes. Pros: Intuitive and easy to use whilst creating the processes. Users also found it easy to adapt to using this software making training quick and easy. Cons: As soon as we started looking at large complex processes we started running into difficulty maintaining the interaction of various sub-systems in these processes. Integration into some of our other databases and systems was also critical and joget's ability to easily allow integration and debugging of this integration caused us a lot of headache. Resources relating to this was also sparse. Overall: We could quickly replace a number of smaller manual processes with Joget solutions that lead to us saving much time and improved our accuracy relating to these greatly. for what it's worth, this technology makes life for internal IT developers very easy. -It allows customization to a great extent. -Makes the design of rather complex process seem easy to do. Cons: i don't like that fact that such good BPM hasn't been enhanced more rapidly. if adequate attentions is given to improve upon its overall features and capabilities and ease of use, it could become a real game changer in the software development world. Overall: as opposed to acquiring different essential software (eg. 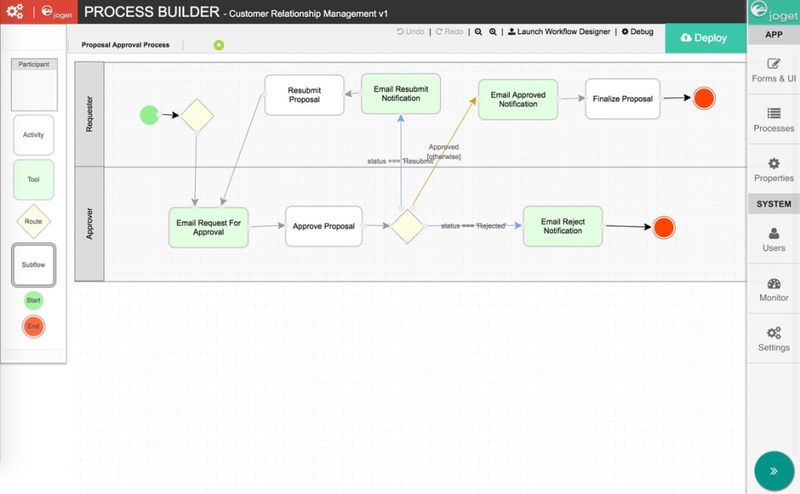 HR software,Payroll etc), all we did was get this BPM, now we can have as many different software whenever required. Cons: The CSS and the theme customization are not flexible. There are method provided by the Joget to interface with other systems, but the effort of the customization will over the price of Joget itself. And the mobile support still has room to improve. Comments: Overall the tool is very good and we've been able to customize it to a very large extent. Given that our tool required a lot of customization and changes, required support and plugins/apps were provided as needed. If only the tool could be more scalable, it would help us take this partnership a long way forward. Overall: I love the product but I wouldn't say its easy to use. The tutorials don't really show you how to do anything but just explain what something does. I had to spend allot of time trying to figure out how things link together. Over all it is still worth it and great to use once you figure it out. Recommendations to other buyers: The videos don't really show you HOW to do something, they don't explain how things are working so its as the videos are going from A to C to E and your left trying to figure out how to get to C and E.
Comments: We has been using Joget Workflow since late 2015 as collaboration tools with world wide customers & vendors. The average time taken for a project implementation is 1.5 months which is super fast with very less programming skills required. Maintenance & Support is an absolute breeze with JW process monitoring tool provide great visibility & inside of each running process. Comments: This software is truly exceptional in it's simplicity, feature set, ways of using plugins and extensions and continuous deployment. 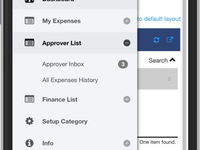 Highly recommend it for applications that involve quick iterations with end users and have to be constantly changed and adjusted to user needs. Comments: The Joget is an easy-to-use workflow engine. For small companies lack of IT support it is very good choice. But the integration to the enterprise system and mobile support still need improvement. Comments: As I use Joget, the complexity of installation was removed, also the feature of versioning. Sharing block of form also useful, the mobile interface helps my customer to use the mobile phone to decide the requests. 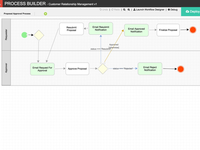 Comments: Joget workflow helped us deliver business critical workflows in record time. 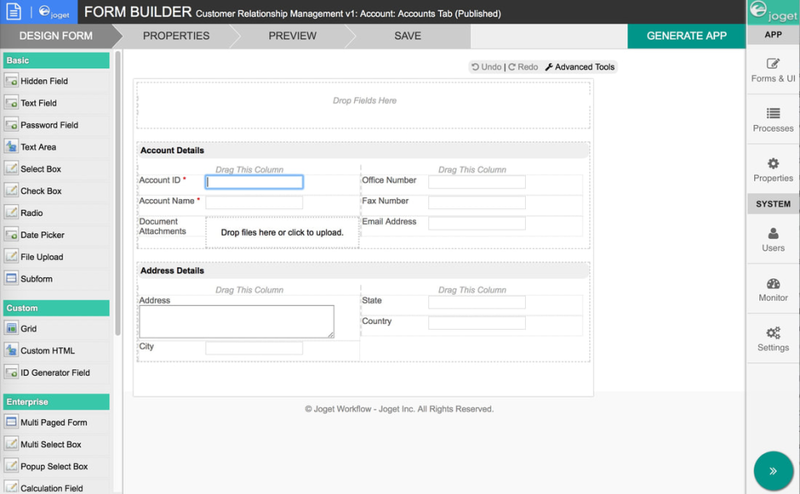 The form builder , the datalist, SSO and rest APIs make it a compelling solution. The value proposition is truly unique . 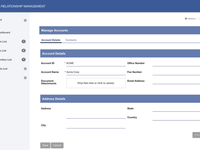 Comments: The best part about the product is I had my workflow along with forms. I did no coding to get this done.